The Sparx skate sharpener has a huge demand in the market. It makes the skate sharpening super simple and easy. In this article, we are going to discuss different aspects of this machine including how to set up this skate sharpener and how does it work so stay tuned till the end in order to know how good this machine is. 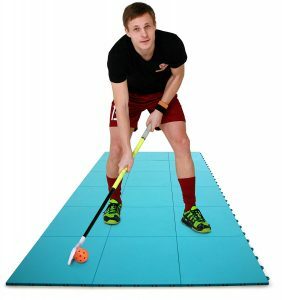 Also, check out the useful hockey training equipment. When you buy the Sparx skate sharpener, it comes with one grind ring of your choice so you can choose whatever hollow you want comes with one of those. It comes with a stone, a leather strop and the other thing it comes with is the optical alignment tool that helps align the machine to make sure that the sharp things are straight, your skate edges are even and your alignment ring is in the right position. The optimal alignment tool and alignment ring are only used for the setup when aligning the machine and then you can put them away. 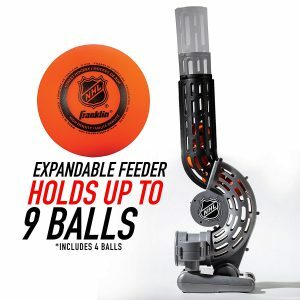 Now when you are using this machine for a team, every Hollow must be available at that time because are not going to have players using the same hollow every single time so you will need that variation from 3/8 all the way to an inch. They also have a cross grinding ring that is very important for getting out huge nicks or making sure that you are able to cross grind brand-new blades so you do not have to run a normal grind ring about 1015 times on that blade. Two other must-haves tools in our opinion are the Sparx blade checker or the edge checker. This makes sure that your machine is aligned and it helps you figure out if your blades are bent or straight. There is an extra blade holder that you are able to just put in the machine and you can sharpen all your spare blades and you do not have to take your blades out of your holders and you are ready to go dialed up with a spare set. 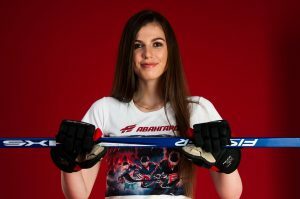 How to Set Up Sparx Skate Sharpener? To set up the machine, you just need to clamp on the lever with the machine which is super easy. There is also a plastic lever that allows you to push down and the slot opens up and the lever itself comes out. Now plug in the cable on back of the machine just like a printer, press the on the button, lights illuminate and now it is ready to do its job. Put some paper on the inside tray to collect the blade shavings/residuals. 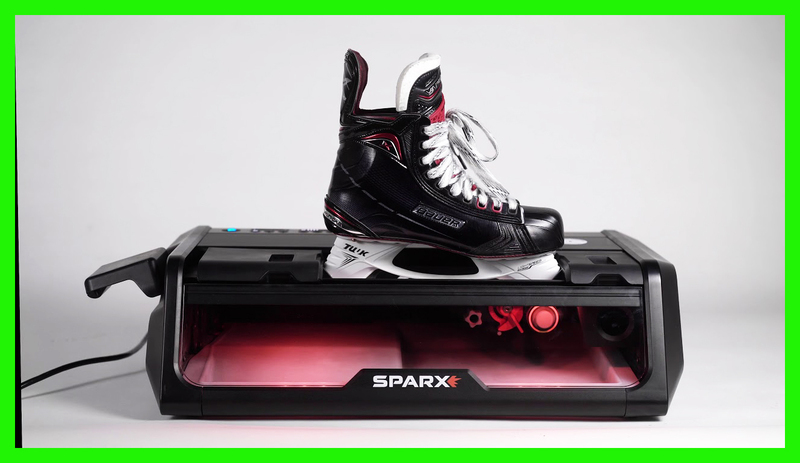 How to Sharpen Hockey Skates using Sparx Sharpener? First of all, put your skate in by lowering/pushing on the side clamp. 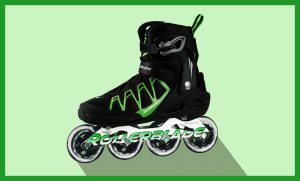 The skate will not be sharpened unless the lights located on top of the machine are off. 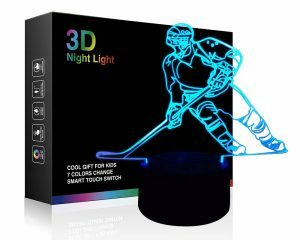 As soon as you put the skate in, then all of a sudden, you have to push hinges from both sides to adjust the skate and make sure that the lights are off and it is secured. Now, this is the last step before you can start to sharpen is to press the arrows located on the top near to power cable port. They allow you to move the Grind ring to figure out where you want the first contact on the blade and this is important because you will want it to be nice and smooth. 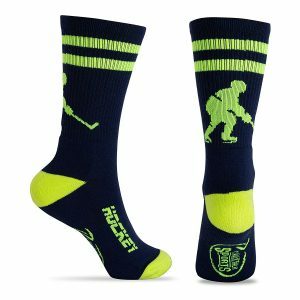 You may not want to get too high on the blades of the skates but you may also not want to get too low where you have everything that is touching the ice sharp. To move the skate up/down, just open up the front case of the machine, inside there will be a red knob that you can turn left or right to change the position of the skate. The Sparx comes with eight preset settings so if you have brand new blades obviously you are going to drop down and if you have smaller blades that have been sharpened a lot then it is going up so it makes more contact on the blade. Remember it is important to pick how many passes you want on the skate. 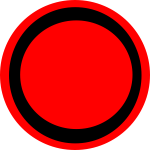 You are recommended to go with standard four setting which is marked with a circle so you just need to press the big arrow located on top of the machine and now you are ready to sharpen. 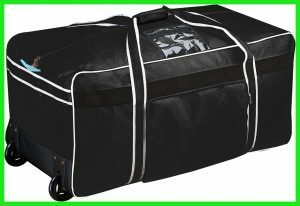 It really works under Pro conditions and in the most extreme high-pressure situations where guys are getting to play or getting paid to play hockey. This is just unbelievable. The notable thing is that when you are paying $899 for a sharpener you almost think it is too inexpensive to be good and think that throws a lot of people off for what the price point is and it really does a professional job. Overall, it is phenomenal and the biggest thing is that to be with the trainers, you do not want to hurt their feelings especially on a pro team where you are at the highest level. It is just an amazing piece of equipment that honestly is going to be a game-changer. If you have any questions you can write to us in the comment section below. 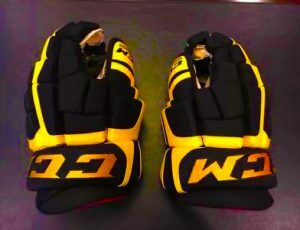 We will love to talk about it because this is something that we are super passionate about and anything to make it convenient for the player and also to make sure that equipment is not holding back you as a hockey player we are all for so a great job.